Ben Davies says it has been a case of Preston North End ‘knuckling down’ over the last few weeks to kick their season into life and push away from the bottom of the table. A bleak late summer and early autumn gave way to a far better October and first half of November. North End are unbeaten in seven games – three wins and four draws – and ahead of them is Saturday’s derby clash with Blackburn Rovers at Deepdale. The international break allows time for reflection and analysis of the games which have gone before. Centre-half Davies says the change in fortune has been welcome and more of a true picture of what North End are all about. “We had just got to the position where results were not acceptable and as a group of players we needed to knuckle down,” Davies told the Post. “It wasn’t as if we weren’t giving our all or anything like that. “But we were conceding too many goals, making too many mistakes and that was showing in the table. “We looked at ourselves and largely it was the same squad which had done so well last season. “There were no excuses really for the results and we knew we had to improve. 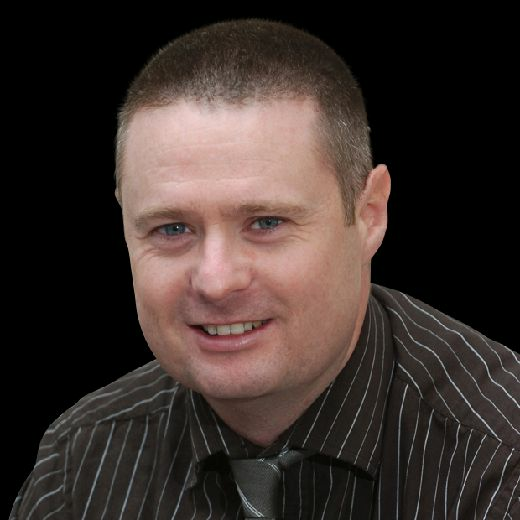 “Over the last few weeks we have got the results and done a lot better. Last season, Davies was part of a back four which stayed solid and boasted an impressive record. For that vital element of their play to have been lost in the first two months of the season played a big part in the downturn of results. Davies said: “It was the opposite of how we had defended last season. “We were not tight at the back whoever was in the team. “During the unbeaten run we have defended far better in some of the games, kept a couple of clean sheets and built from there really. “Personally, I feel I have started to get back to the form I produced last season. “Earlier on, I was doing okay but making mistakes which were costing us – the ball was ending-up in the back of the net too often. “What I did was to look at myself and tried to change back to the things I was doing last season. “I like to think I’m playing better now and to be fair the team as a whole has turned around. “Last week at Bristol City was perhaps the best I have played this season. “As a team we defended the box very well when they put a lot of crosses in early in the game. “We got a foothold in the game and looked a lot more solid all the way through. “The clean sheet was a welcome one and hopefully there are more to come. “Paul Huntington and myself have been playing well together for the last two or three games. The North End squad have used the first week of the international break for some work on the training ground and also to get some rest into the legs. It is club football all the way from now until the middle of March, that a demanding and defining stretch of matches. It’s two home games on the bounce for Preston to start with, the visit of Blackburn followed by a midweek clash with Middlesbrough. The Lilywhites then hit the road on successive Saturdays to face Birmingham City and Nottingham Forest. It’s back home to host Millwall before North End go to Sheffield Wednesday on December 22. There is a Deepdale double header over Christmas against Hull City and Aston Villa, with the New Year’s Day offering a trip over the Pennines to Rotherham. So there is plenty for PNE to get their teeth into over the next six weeks. Said Davies: “After the international break we play Saturday-Tuesday-Saturday so we have to get ourselves ready for that. “In the first week of the break we had a couple of days off and then got some work done on the pitch to keep us ticking over. “This week training will be more about looking at the Blackburn game in detail and focusing on that. “The Blackburn game is a big one because it is the next one but obviously it being a derby means there is even more on it. After being North End’s loan ranger – he had loan spells at York, Tranmere, Southport, Newport and Fleetwood – Davies is very much a central figure in the squad these days. 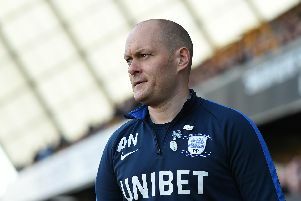 He has gone beyond the 60-game mark in a Preston shirt, the majority of those in the 15 months since Neil’s arrival as manager. Davies, 23, said: “It’s nearly six years since I made my debut. “Then I went out on loan to other clubs which meant I didn’t quite feel fully part of it here for a while. “But last season and this season, I’ve played a lot of games and it is a brilliant place to be. “Every player who has been here says there is a good feel about the place and it’s an exciting club to be part of.